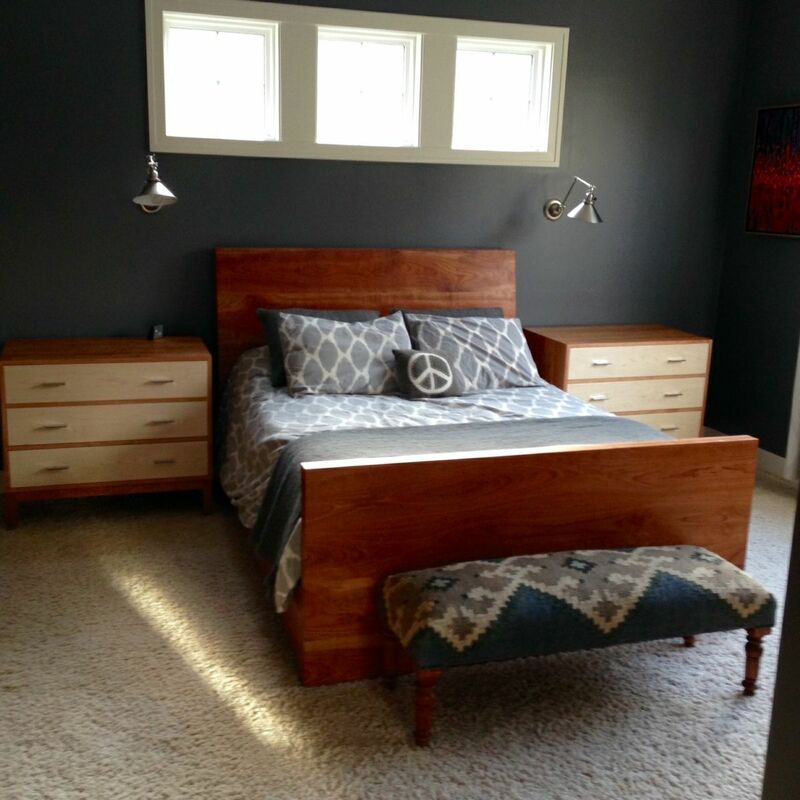 After making a cherry Queen Size Bed with curved headboard, the customer requested 2 matching cherry Dressers, with 3 drawers in each Dresser. 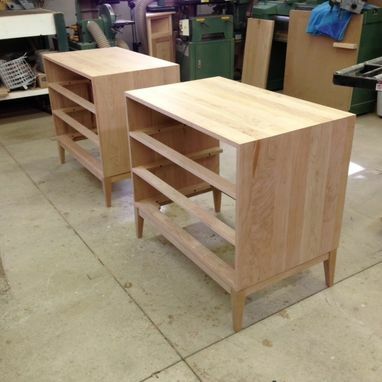 To further accent the Dressers, the customer requested that the drawer fronts were to be made from curly maple. 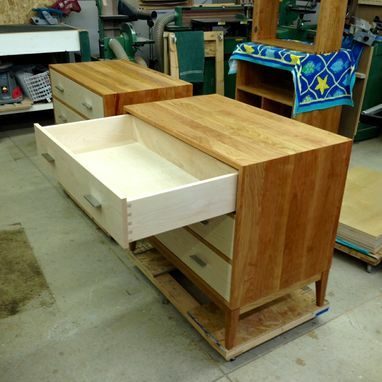 Dovetail joinery was used for the drawers, while the drawers move on undermount soft-closing drawer slides. Polished chrome drawer pulls add additional accent to the cherry Dressers. As cherry darkens with light/age, a mix of Danish oil & satin polyurethane was applied to the dressers to further highlight the color/grain. 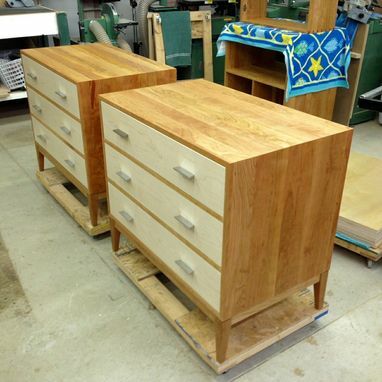 The Dressers were buffed to a low sheen once the finish was dry.